As one of the UK’s first specialist balloon companies, we offer the most comprehensive range of balloons and balloon products. 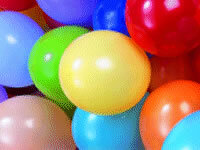 Latex balloons are available in many sizes and several finishes including pastel, crystal and metallic finish. Click onto one of the buttons below for further details. 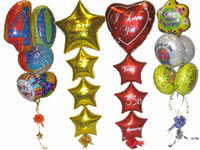 Plain latex balloons in many sizes and printed with designs for most occasions. 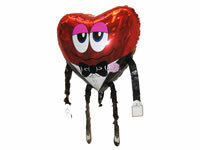 Traditional latex and metallic foil balloons supplied filled with helium. Available in plain or printed in a large range of designs. 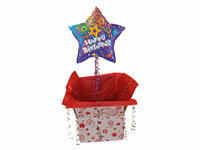 Large candy striped boxes containing up to thee foil balloons, which can be hand delivered or sent nationwide. 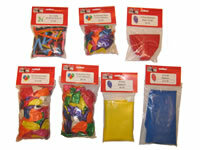 Full range of Air-Walker balloons. Balloon bouquets are available for all occasions. 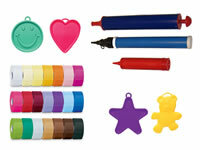 Balloon pumps, electric inflators, ribbon, nets and much more.